Effectively handling complaints, minimising falls and a balanced diet is essential to ensuring a happier and safer environment for residents within aged care services. 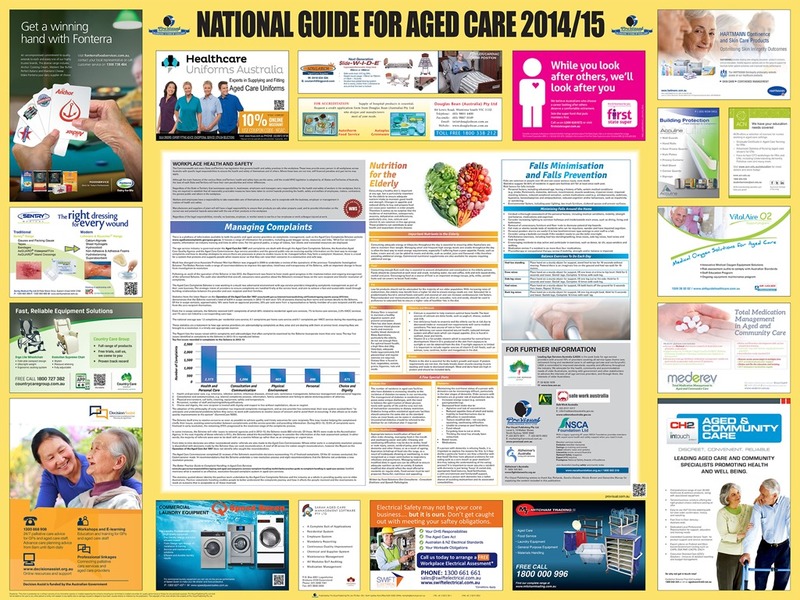 Pro-Visual Publishing, in collaboration with Leading Age Services Australia and Alzheimer’s Australia, has just released their newest edition of the National Guide for Aged Care 2014/15, which includes advice on the best practices and handling procedures. This guide ensures that important issues on health and safety are brought to the attention of those working in the Aged Care sector. This year’s edition outlines the importance of complaint management in the age service industry. This system ensures that people can raise their issues and concerns in a safe and constructive manner. Additionally, the guide offers useful information on the Aged Care Complaints Scheme and the effectiveness of the scheme. People over the age of 65 have a higher risk of falling, therefore it is essential to ensure that this risk is minimised. This years guide outlines the factors that can cause elderly people to fall and ways to reduced this risk around the home. The guide also explains the importance of nutrition in elderly people and possible diets that can be used for residents. “I would like to thank all of the sponsors of the National Guide for Aged Care 2014/15. Their support has made it possible for the guide to be distributed free of charge”, said John Hutchings, CEO, Pro-Visual Publishing.